We have many coffee addicts in the family. Affagato appeals to everyone’s palette. The only thing I have to prepare is the chocolate sauce. Otherwise, it is really an assembly process to put the dessert together. Planning to serve this at the upcoming memorial day bbq. Hope our guests like it too. Mix the half and half, vanilla, espresso sugar, and salt in a microwave safe measuring cup. Heat in 30-sec increments until it is hot but not boiling. Add the chocolate chips and stir until it has fully melted. Set aside. Beat the heavy cream in a standing mixer with the whisk attachment until soft peak forms. Add the powdered sugar and continue beating until stiff peak forms. Do not overbeat. Dissolve the instant espresso in the hot water. Set aside to cool. 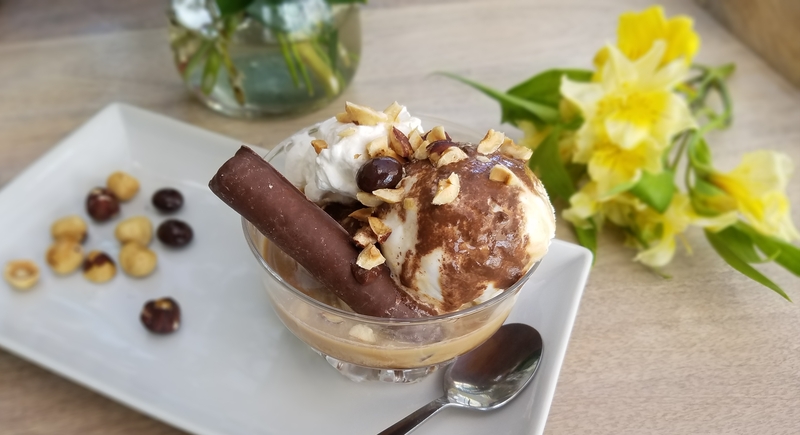 When ready to serve, add one scoop each of the coffee and vanilla ice cream into the serving bowl. 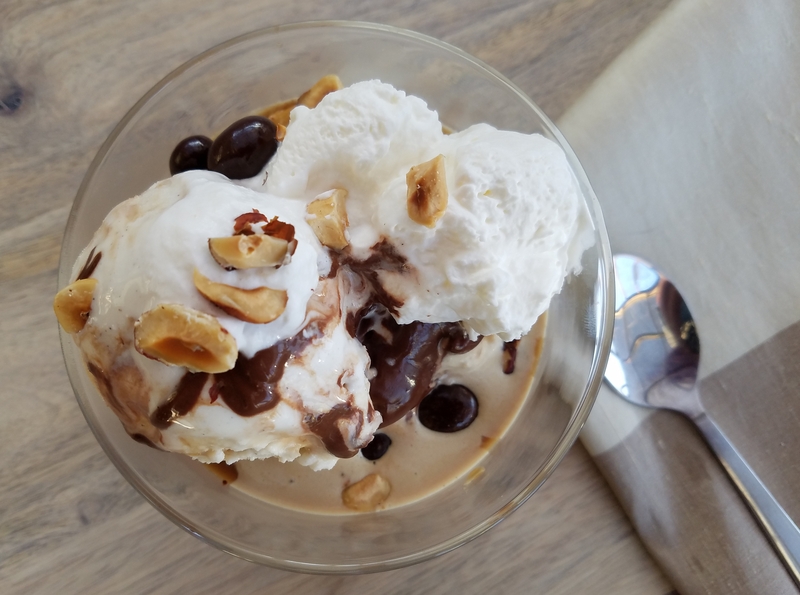 Drizzle 2 Tbsp of the espresso and 2 Tbsp of Kahlua over the ice cream. Top with a heaping table spoon of chocolate sauce and a heaping spoon of whipped cream. Sprinkle the chopped hazelnuts and espresso beans over the whipped cream.